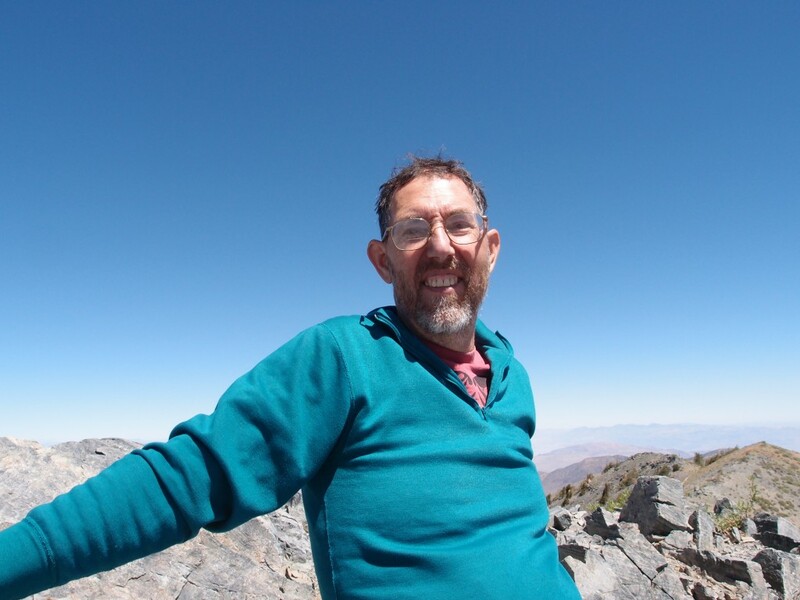 This ERG alumni spotlight features one of the first ERG graduate students, David Marcus (MA’77), and is written by ERG alumna, Sarita Sarvate (MS’78). The piece is the first of a series of stories on the achievements and journeys of alumni, showcasing their life after ERG. One summer day in 1981, Dave Marcus stood on the southern tip of Bryce Canyon, Utah, and gazing upon the proposed site of the Alton coalmine, murmured, “I killed that.” He felt satisfied with himself. But now, nearly a quarter century later, he muses about his legacy. He wonders if this is all there is to being an ERGie. Marcus is in some ways a prototype, graduating with the first batch of students from ERG and joining the newly formed California Energy Commission in 1977. He could well have been just another worker, oiling the wheels of bureaucracy, but he carved out a role for himself when he identified renewable alternatives to the construction of a Liquefied Natural Gas Terminal in Southern California, a radical notion in the late seventies. In that same period, he worked to replace San Diego Gas and Electric Company’s Sun Desert nuclear power plant with geothermal, wind, and solar energy. Photovoltaic cells were not on the market yet but traditional rooftop solar water heaters were common. Both projects failed to come to fruition for various reasons, but Marcus’ career was off to a remarkable start. In 1980, he became advisor to Commissioner Walker and shortly afterward, set out to kill a proposed 2500 MW coal generation power plant, 80% of which would be owned by California utilities. The stakes were high; 500 Megawatts of the plant would be located near Zion National Park; the coal mine that would feed the project would be on the periphery of Bryce Canyon. Today, such a proposal would be unthinkable but back then Marcus and others were pushing the boundaries of the environmental movement. Since the plant would be built outside California, the approval for siting, which would normally be under the jurisdiction of the Energy Commission, was out of Marcus’ hands. But the California Public Utilities Commission (CPUC) had the regulatory authority to issue a CPCN – Certificate of Public Convenience and Necessity. So Marcus set out to build a record, identifying 5000 MW of alternatives including cogeneration, which was just coming online then. The Energy Commission voted to intervene; at the hearing on whether the CEC should formally oppose the project, its sponsors threw in the towel. TV cameras noted Marcus’ victory. That was the last time Marcus worked a 40-hour job. He became a consultant to environmental and consumer groups, among others, making a decent living. When James Watt, Interior Secretary to President Reagan, proposed to increase the capacity of Glen Canyon dam from 30,000 cubic feet per second (cfs) to 50,000 cfs, he fought the plan on behalf of an environmental group. Watt went on to become known to posterity as the man who said that he could not predict how many generations would enjoy the Grand Canyon because “the Lord was coming.” Marcus went on to get paying clients for the next thirty years. 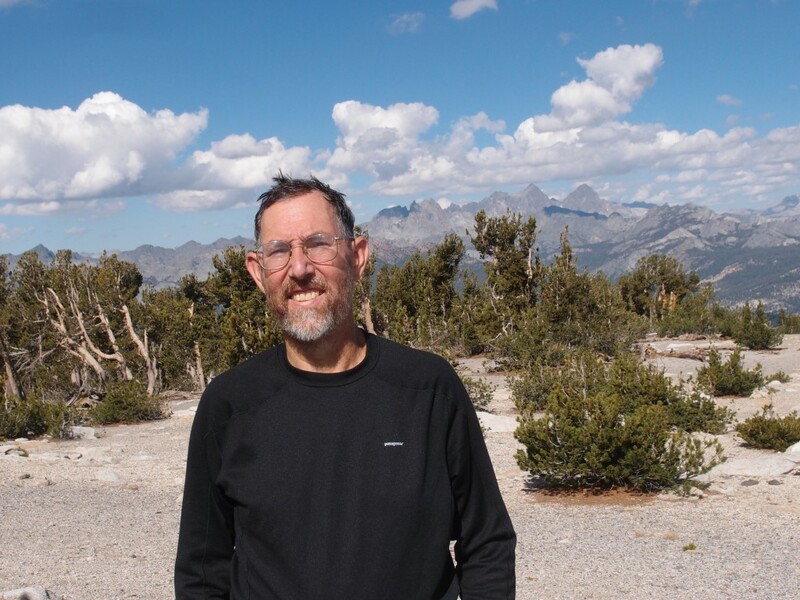 David Marcus on San Joaquin Peak: The two tall peaks in the background on the right are Ritter and Banner in the Sierra Nevada. Some ERGies may remember Ritter because David led an ERG trip to its summit in 1977. When San Diego Gas and Electric proposed the construction of the $1.3 billion Sunrise transmission line through Anza Borrego State Park, a pristine desert, Marcus worked for the consumer group UCAN, offering cheaper alternatives costing $300 million. His arguments were largely based on reliability and economics. A CPUC Administrative Law Judge adopted his position but President Peevey, whose collusion with industry has since come to light, approved the line. Was that a win, Marcus wonders now; the transmission conduit went on to cost $1.9 billion in ratepayer money; the only consolation was that the line ran around, not through the park. Today, Marcus ponders if he is missing the forest for the trees; if by focusing on small, specific steps to save the world, he is ignoring the climate change catastrophe that is looming on the horizon. Just like Jonathan Franzen, who, in a recent essay in the New Yorker, grappled with the question of whether to worry about his 0.0000001 percent contribution to carbon emissions or to focus on specific projects to save endangered species in Costa Rica and the Amazon, Marcus wonders about his absence from the effort to avert the climate change calamity. That sounds like a statement only an ERGie would make. About the writer: In addition to being a practicing ERGie for decades, Sarita Sarvate has been a self-styled opinion page writer and commentator. Her work has appeared on NPR, Salon magazine, San Jose Mercury News, Los Angeles Times, and many other publications. Her Last Word column for India Currents has drawn heartwarming letters as well as hate mail. She has been on a sabbatical to write a memoir but has been contemplating returning to energy work in the near future.